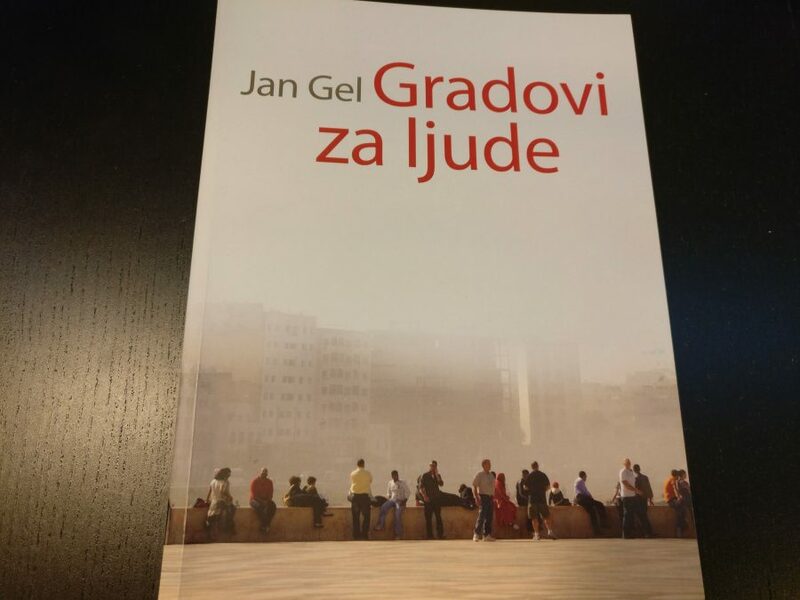 This January, professor Jan Gehl came to Podgorica to promote his book, “Cities for People”. The visit was quite a surprise: an announcement was made on a Friday that on the following Monday and Tuesday prof. Gehl would give a lecture and meet with officials. This instantly creating a wave of excitement among anyone who ever read anything about contemporary urban design and human-scale urban planning. For me, this was a throwback to the time I spent as a 4Citizen, cycling around Copenhagen and studying Gehl’s “Life Between Buildings”. I was happy about the visit and curious about to professor’s impressions of Montenegro’s capital, a city I love – and love to criticize (as my former classmates and lecturers might remember). I had an opportunity to attend one of Gehl’s lectures during our semester in Vienna, and I’ve visited Gehl Architects during my time at University of Copenhagen, so I thought this would be a great opportunity to put some of my first-hand knowledge to good use and try to schedule an interview with prof. Gehl. I emailed him and introduced myself as a local activist for more sustainable urban transportation and against financialization in urban development. He responded right away, and we agreed to meet and do an interview during his visit. Gehl’s lecture was packed, with an audience consisting mostly – from what I could see – of students and professionals working in the field of architecture and urbanism; the NGOs concerned with urban development were largely absent. The lecture discussed the most important aspects of Gehl’s philosophy in urban design, underlying the steps to be taken in order to create a lively, livable, safe and sustainable city. City officials, along with the mayor who was also in attendance, nodded in agreement with the reasoning presented. After a one-hour lecture, we got on with book signing: everyone who attended could get a free copy of Gehl’s “Cities for People”, translated to Serbian. This was courtesy of the City of Podgorica, which, as I understood, was using this opportunity to invest in the education of its architects and urbanists. Those with enough patience to wait could get their books signed by Gehl, who performed this ritual with patience and grace. In exchange for the book and professor’s lovely note, I presented him with a few photos of Podgorica I took over the last year. The pictures showed interesting examples of urban design, some of it good, most of it bad, and all of it definitely not found on the official postcards. We agreed to talk the next day, in the afternoon, during the “meet the press” sort of event at the hotel where Gehl was staying. Sonja Dragovic: “It is widely believed that the lively city needs high building density and large concentrations of dwellings and workplaces. But what the lively city really needs is a combination of good inviting city space and a certain critical mass of people who want to use it.” I get your point, but dwellings and business premises are profitable. Their construction and sale bring a lot of money to investors. Parks and playgrounds and nicely designed public spaces are not so lucrative. They are good for citizens, but not as valuable to the real estate industry. I am asking you now, as an activist: how do we fight that? 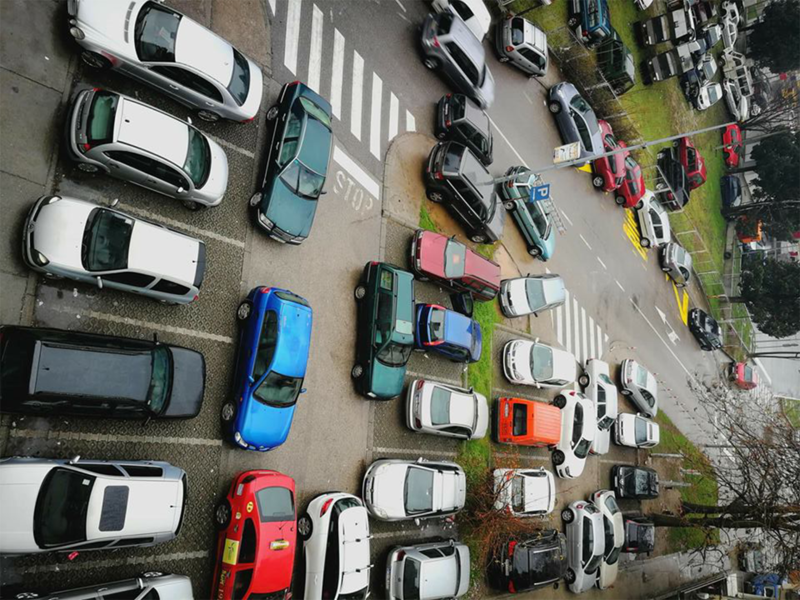 When we want to apply your principles for developing cities for people, we run into private interests that are not in agreement with those principles. Jan Gehl: For my principles to be applied successfully – to concentrate urban activities in a small space, integrate them, stimulate pedestrian and bicycle traffic, open up buildings towards public space, increase the number of people using that space – we need to have clear urban planning rules. We surely need to know what the population density should be, but also must not let anyone build endlessly without providing a sufficient, clearly defined area of good quality public space. SD: But that happens all the time in Podgorica. Over the past ten years only, we have had several projects involving the construction of residential buildings and blocks where plans used to show one thing – green areas, well-designed public spaces – while the result of the construction was something completely different. In most cases, only buildings and parking lots. Developers then just leave without any consequences, and continue to undertake construction work at another location, with no one holding them accountable. JG: That is a problem that needs to be tackled by city planners and urban development inspectors. Respect for rules must be guaranteed. SD: So, you are saying that the city has to be led by responsible people in order to avoid this? JG: Well, yes, exactly. Actually, today I went to see that quarter with a lot of asphalt, with a huge concrete desert in the middle. That could have been made much better. Somebody could now take this book that we have just promoted in Podgorica, study the 12 principles I talk about in ‘Cities for People’ and re-design that place, right? There’s always the future. SD: Yes, such urban design is something we are battling at the moment, something we are trying to correct. JG: It is also important to address the population density. Many people say that we need to erect tall buildings to increase population density in cities. And I say to that – what’s wrong with Paris, or Barcelona? I even think that the population density in Barcelona is higher than in Manhattan. Generally speaking, high-rise towers and skyscrapers are a poor response to this challenge. If architects make an effort, if they really become interested in space, they can achieve the same population density with up to seven stories, and free us from silly towers. JG: Yes, I saw the project today. SD: Oh, so you have seen the project? And what did you think? JG: Well, I had to tell the mayor that this project is not the best I’ve ever seen. It’s would not be a good strategy to do such an expensive and overdone project – like an omelet with too many spices! It would spoil the nature along that part of the riverbank and it’s really too expensive. So, I was not amused, and he was not amused to hear such an opinion. Also, I mentioned that it was not a good idea to spend so much money on such a project – the riverbank could be designed nicely for a third of that amount. Mind you, the city could really hire landscape architects, as it seems to me that the current solution was developed by transport engineers. There’s simply too much asphalt and concrete in that project. Landscape architects have “green fingers” and their contribution is always easy to see. SD: I am really happy about your visit, as it will certainly stimulate new discussions on how to better promote and support urban cycling in Podgorica. You have seen that we have several bike lanes, but the city authorities are still not providing any other incentives. Do you think something will change? JG: I think so. We also had a meeting with the Danish ambassador and I’ve been informed that in June this year there is going to be an event which will promote the application of Danish ‘green’ technologies and tools for sustainable urban planning. These ideas – and cycling among them – will surely receive more space and promotion. We can and should use examples and ideas from other countries and cities where the desired changes have already been made. Copenhagen was like Podgorica 40 years ago. Therefore, one should just make a plan and work hard to make it happen. We parted amicably, with hopes that Gehl Architects will be coming back to Podgorica. I stayed up late that night to type up and translate the conversation so that it can be published online the next day. Especially valuable, as I saw it, was the information regarding Gehl’s opinion about the project being developed on the riverbank, in the city center. Gehl’s critique was coming right on time as the public debate on the riverbank development project was opened a few days before, and it was just starting to heat up, with many architects and urbanists from the academic and independent scene expressing their concern and disapproval. 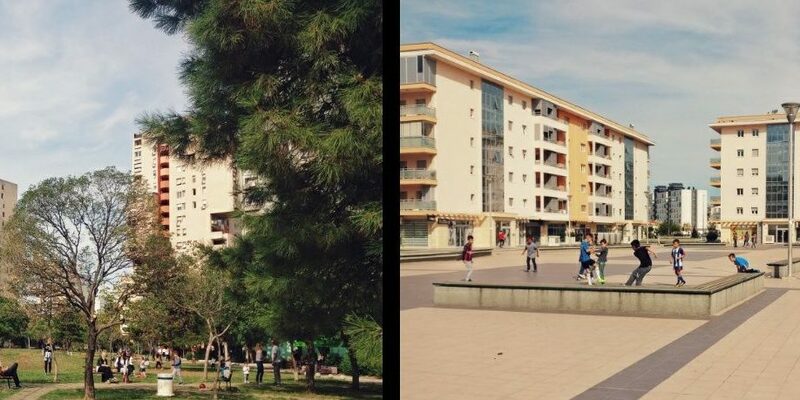 The controversial plan called “Urbanistic Project Morača Military Barracks” was funded by a private developer, and it proposed taking down the existing cypress park along with military barracks (i.e. 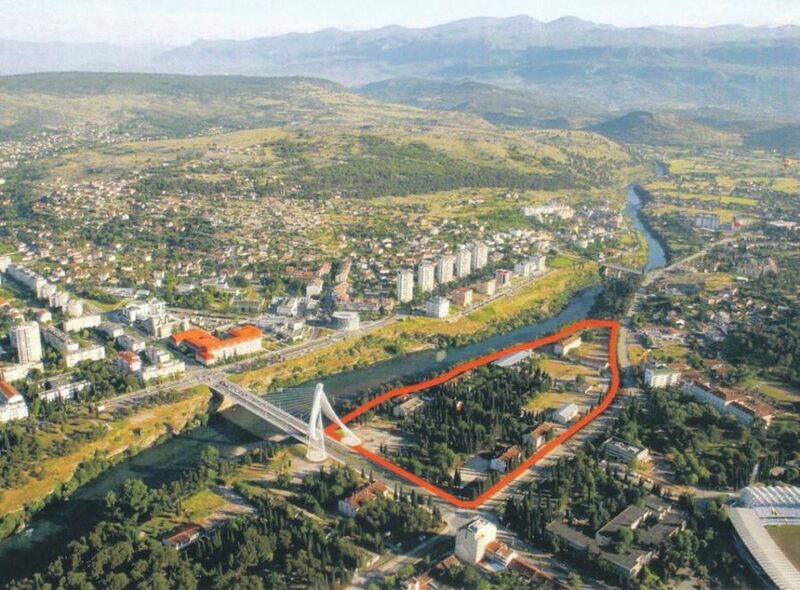 some of the oldest buildings in Podgorica downtown) and building around 150.000 m2 of housing and business space in its place, along with underground garages that would make it impossible to re-grow the park. While local and national government institutions went on with the process for the adoption and implementation of this plan, numerous actors from the independent scene (NGOs, journalists, activists) and some political parties were trying to get public attention and support in trying to stop it. In the middle of this public conversation, Gehl came to Podgorica, and I could only hope that I would get an opportunity to tell him briefly about this plan and hear his – hopefully, disapproving – opinion. After completing the interview, I was happy that I got not a vague dismissal of some unclear development proposal, but quite detailed critique of a project that has been, apparently, shown to the professor during his visit. If he didn’t like it, the official institutions can’t say that the rest of us are wrong for criticizing it. The interview was widely read and well received, with Gehl’s points on the importance of civic engagement, strict urban planning rules, sustainable transportation and clear urban development vision recognized as obviously necessary to follow if we want to develop a better city. His critique on riverbank development was also welcomed by civic organizations and activists, and seen as potentially useful in organizing resistance against this proposal. 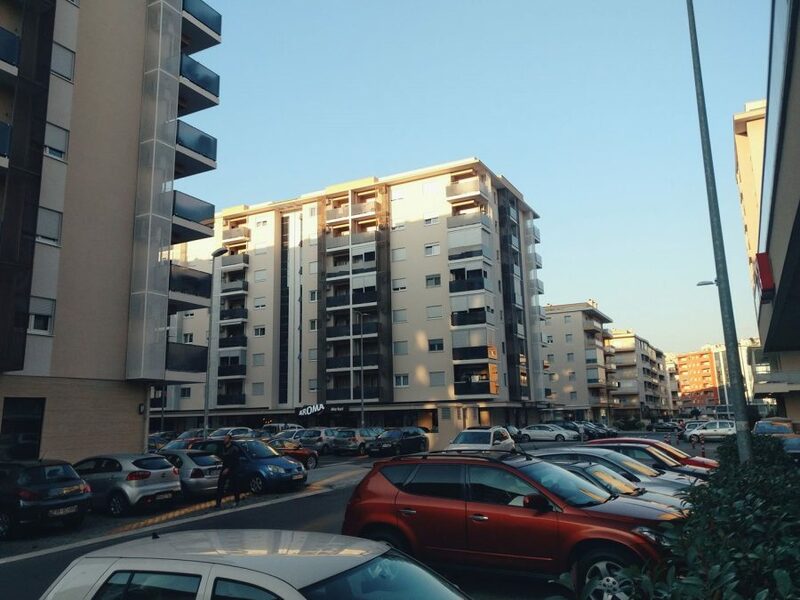 The next day, the newspaper that published the interview informed me they had received a letter from the Belgrade company who organized Gehl’s visit to Podgorica, in which they denied that the professor commented on the “Morača Military Barracks” project. According to the statement, Gehl was shown a different project, concerning the development of a sports and recreation area on a different part of the riverbank. Hence, he knew nothing about the project that I assumed he was telling me about during our conversation, while I knew nothing about this other project, since it has not been made public yet. In the next few hours, more letters arrived and were promptly published: one from the Local Government PR office, accusing me of lying and knowingly misinterpreting Gehl’s words for political gain, another one from Gehl himself, expressing regret that his words were misinterpreted. I responded by admitting it is possible we were talking about different projects and didn’t know it at the time, and asking for this honest mistake not to be interpreted as deliberately misleading. However, the public attacks on me continued over the next couple of days. What happened during and after professor Gehl’s visit says a lot about the root causes of problems with urban planning in Podgorica: there’s a lack of critical debate, and an unwillingness to prioritize goals of livability and sustainability over short-term monetary gains. Prof. Gehl, in his own words, was invited to Podgorica to help forge a path towards a city that is better for all its people. His remarks are instructional: it is important to have clear and strict urban planning laws, progressive vision, good landscape architects, and active, engaged citizens. This is excellent advice, and it is encouraging to think that city officials might be ready to listen. Their actions, however, don’t yet correspond. For example, trying to silence and defuse the public outrage over the ill-conceived riverbank development project by resorting to rude verbal attacks does not bode well for the future. It is essential to honestly answer one question: who should benefit the most from our urban planning practices? If the answer is “current and future citizens of Podgorica, regardless of age, socio-economic status or political affiliation”, then the process of urban development needs to become more inclusive, collaborative, critical, more thoroughly examined and debated than it currently is. That’s not easy, but it’s the only way to govern and plan our city responsibly – and it’s completely in line with “Cities for people” principles outlined by prof. Gehl. If the answer to this question is anything else, and especially if all the available evidence points to the answer being “private interests of powerful individuals”, then citizens must resist and demand change. Lack of political will and strength to put the public interest first can and should be confronted. As Gehl puts it: the best protection for the city are the citizens. I would add: people who speak up, take action and understand that the future of their city is their future, too.